Happy girl Paisley is full of life and always smiling!! As you can see from her pictures! When Paisley first came off the van she was hiding in the back of the crate, unsure of whats to come.. huddling closely with her buddy Snoop. 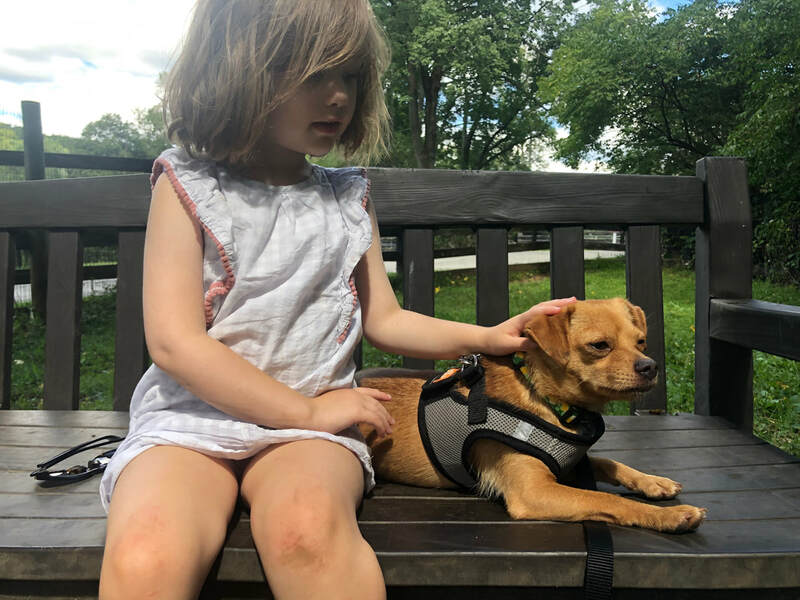 That unsureness didn’t last too long, our director took her in her arms, reassured her and brought to to a yard where Paisley could have some off leash time with her buddies. There she loosened up and started to show us her cute flower like personality (hence her name!!)! After a few days of acclimating Paisley got braver and braver. Her true, comedic-self came out more each day! Young and vibrant.. with her unique feathery black and white locks and, at times, one popped up ear! Paisley has a captivating and stunning outward appearance... however her hilarious zany energy shows us she’s really a tomboy at heart!! One day we were out in the grass yard with all of her doggy friends.. Chase, Snoop, Snow, Penny... each of them swaying about following their noses.. when all do the sudden little Paisley busts a move and takes off! “Come on guys, let’s get this party started! !” She became the leader of playgroup! Zooming in little tiny circles, occasionally stopping short in a play bow then quickly taking off again.. she took a running leap atop the beach with a little too much momentum and she smacked into the back of it and bounced off.. it was one of those falls that makes you cringe a bit... well not PAISLEY! She barely noticed and took off again for more play! She's just such a cool little dog! Her uppity, zip-pity-do-da mannerisms are ridiculously fun to watch in her wee size. Paisley absolutely loves toys!! She will collect each and every one.. even dragging over toys that are bigger then her! She’ll hoard them on a blanket and keep them all to herself! She doesn’t want any of her friends taking her collected items, that’s for sure! 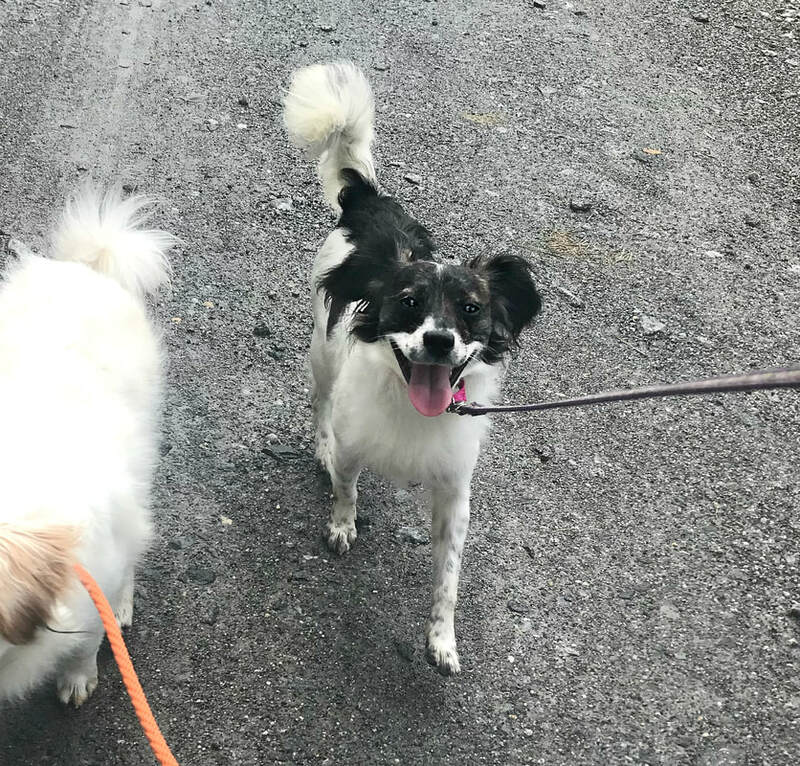 Paisley is also working as a confident leader for her buddy Snoop who is a bit more hesitant then she. Paisley is still learning to trust us and hasn't fully let her guard down. She always comes forward for a tasty treat and happy talk, then sometimes she'll take a step back to a safe distance. She eagerly awaits her turn to go for a walk.. she stands up tall, tail wagging gracefully behind her. With some coaxing, she'll come in to be leashed and happily bops off on the walk, paving a confident path for Snoop to follow!